Whether you’ve locked yourself out or been the victim of a burglary, FC Locksmith is here to help you get in and get safe. For the people of Pickering, Ontario, FC Locksmith should be your first call anytime you need expert and dependable locksmith assistance. We have a fully-trained team of locksmiths that are able to help with almost any problem that arises. This includes residential, commercial and automotive locksmith needs. Yes, we deal with the big stuff – burglaries, evictions, security device installation, garage and patio door fitting, and thorough lock replacement and repair – but we’re also happy to help with the small stuff. 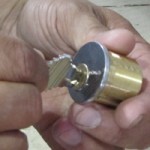 Need a duplicate key cut? No problem. Need an additional deadbolt fitted? No problem. Lost your key chain? No problem. At FC Locksmith we realize that you’re not always going to face these problems in the bright light of day. That’s why we offer all of our services on both a pre-booked and emergency basis. There’s no need for you to wait until the start of the working day or after the holiday period, we can come and help you now. What’s more, we’ll be there very quickly. FC Locksmith’s services are not limited to Pickering either. As well as serving the entire Durham region, we also visit neighboring Markham and the City of Toronto. 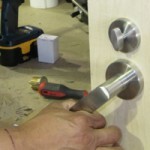 In fact, our locksmiths are available throughout the Greater Toronto Area.